You are currently browsing the archive for the THE MAGIC LANTERN category. 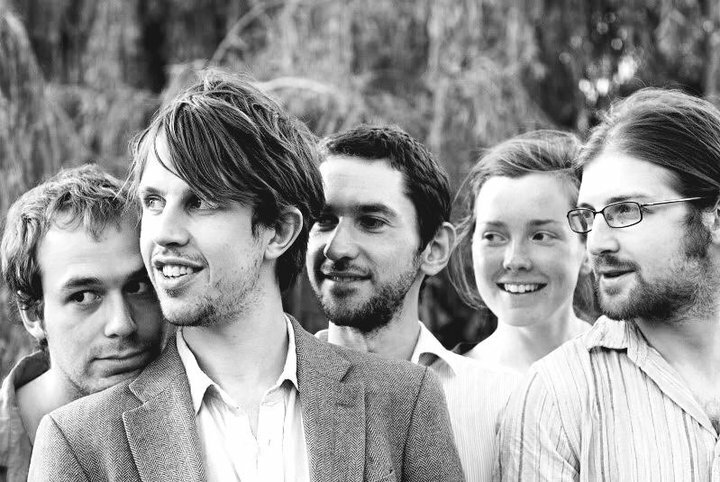 A London-based Chamber Folk/Jazz five-piece, The Magic Lantern comprises of Jamie Doe – Songwriter/Vocals/Guitar, Fred Thomas – Arrangements/Percussion/Guitars, Phil Stevenson – Guitars/Cavaquinho/Vocals, Lucy Railton – Cello, Dave Schulman – Clarinets. Fred Thomas has been known as a member of London’s F-IRE collective and founder/curator of F-IRE Klang Codex. Their debut album of this year “A world in a grain of sand,” has been available on on Hectic Eclectic Records.